This birch has recovered well after the hard pruning it got earlier in the summer. As hoped, various buds have popped in good places for future branch development. 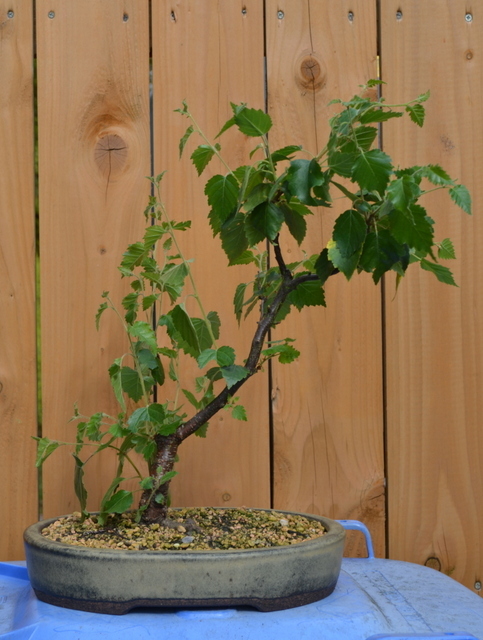 I reduced the length of upper shoots back to one node and kept the basal shoots lengthy to increase lower trunk/branch thickness. 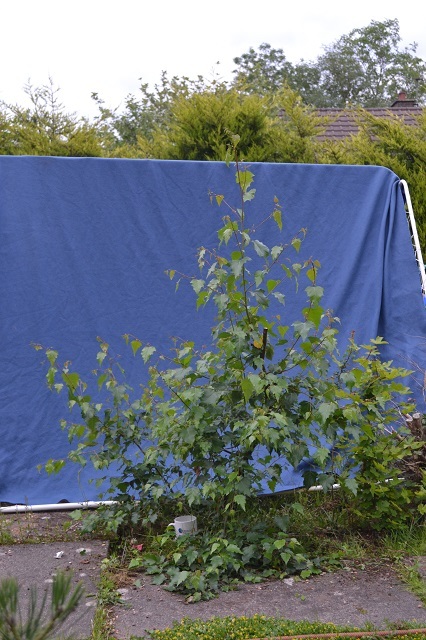 Earlier in the summer after a hard prune. A good recovery. Before current work. 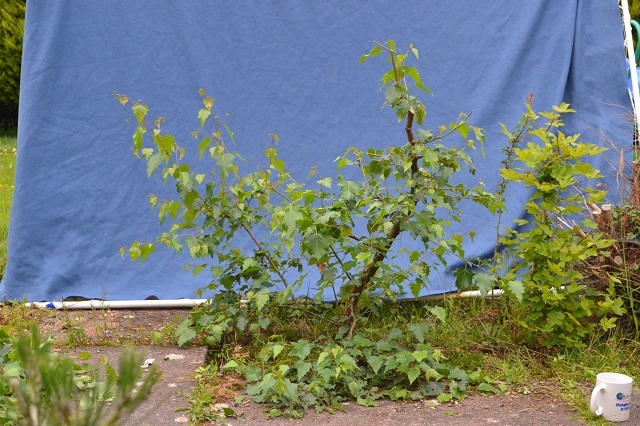 One of the largest trees I’m growing in the ground for future bonsai purposes, this birch has recovered well from a near disaster earlier in the year when my four year old son thought he was helping me by cutting back pretty much all of branches when left to his own devices in the garden. 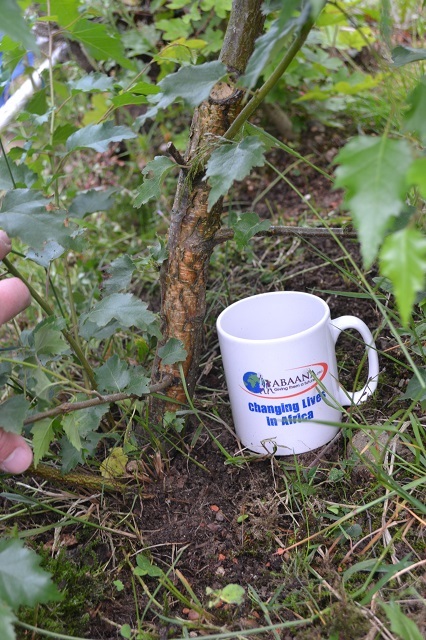 I blame myself – he had been starting to show an interest in what I was doing with my trees and had helped me with a few tasks previously. 1. 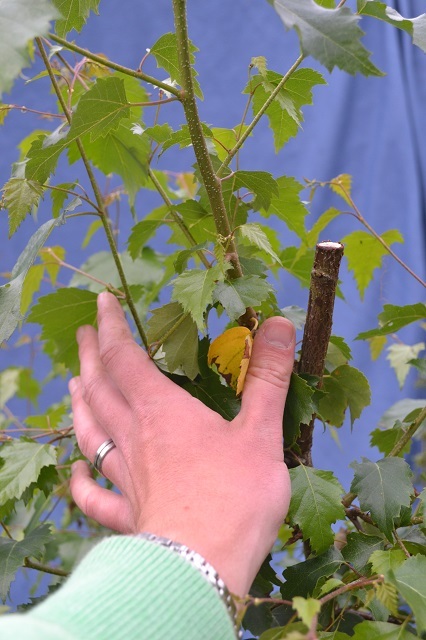 Divert energy to the lower limbs so that they can thicken and in turn further thicken the base of the tree. 2. 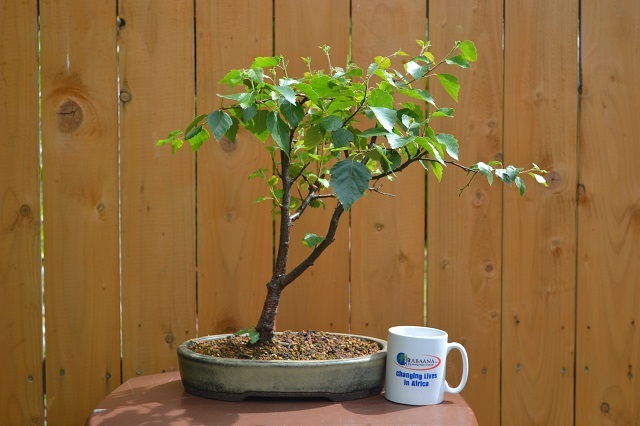 Begin to develop the best branch structure for future bonsai purposes i.e. thickest branches at the bottom of the tree and gradually getting thinner at the apex. 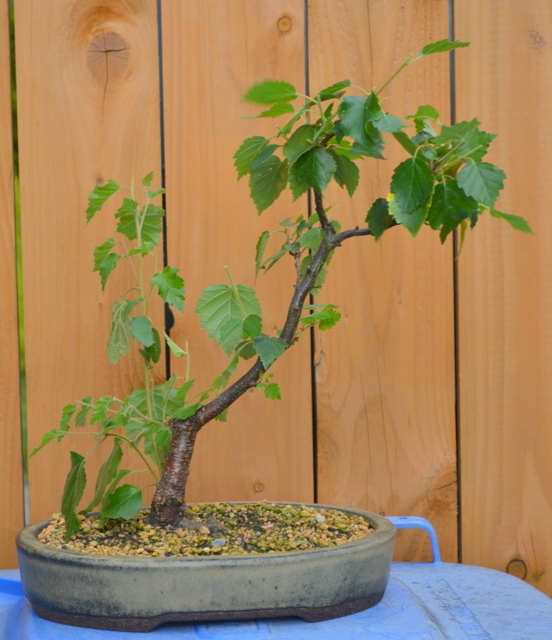 I understand that to achieve the thickest trunk in the shortest amount of time it would be better to just leave the tree unpruned for a number of years in the ground but to be honest I don’t like this method as, in my experience, it results in poor taper unless the trunk is chopped and a new leader trained. However this in turn leaves a rather large wound which can be hard to disguise and takes a long time to heal. The taper of the tree tends not to be gradual and instead quite dramatic changing from the trunk to the new leader. 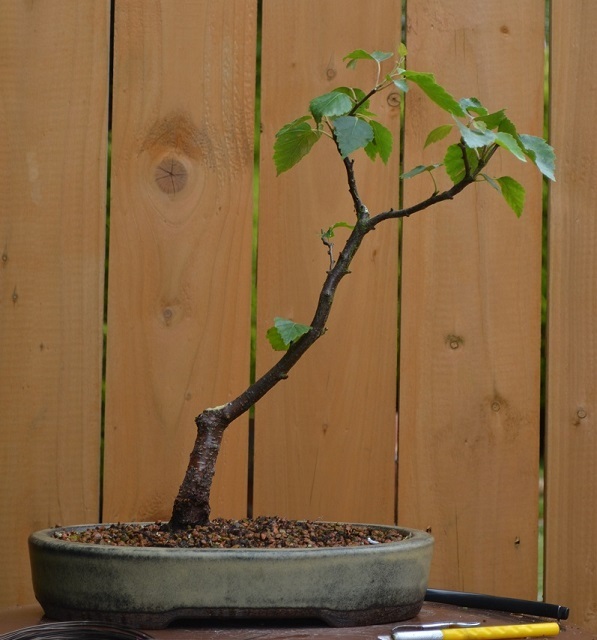 This was the technique I used for the Amur maple in yesterday’s post. I usually prefer to let the bottom branches extend/use one sacrifice branch and this can produce a natural, gradual taper. I suppose it depends on the timeframe you have for developing the tree and what you want the final result to be. I work on my ‘field-grown’ material a couple of times during the year and this keeps me interested in it and hopefully avoids any nasty surprises after ignoring it for a few years. It also means I get a head start on developing branches before the tree comes out of the ground. After three years untouched the branches were all of an equal thickness, in fact they were thicker in some places further up the tree. I’m now trying to rectify this. Old leader being replaced by a new one. Lower trunk thickening up and developing character. 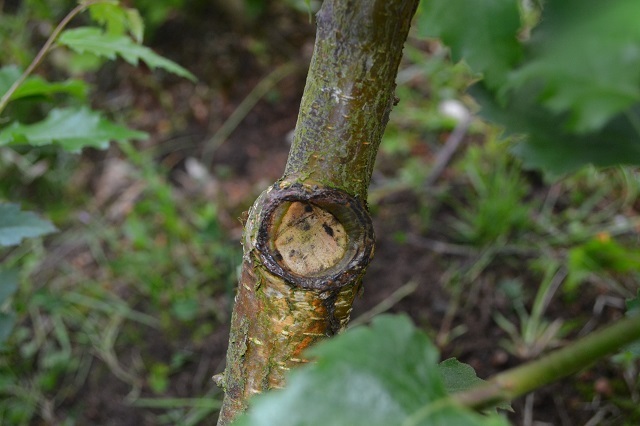 An old sacrifice branch pruning wound. Healing well. The lowest branch is the pad practically lying on the ground. It’ll get more light now and grow stronger. The tall shoots on the left are suckers from the base under the soil surface. I left those alone to fatten the base of the tree. I’ve been looking at this recently repotted silver birch for a while and finally decided to perform some drastic pruning. Initially the second trunk (right) was left on as a sacrifice branch but I really like the movement it offers rather than the original straight trunk. Out came the cutters. Now to wait for backbudding and keep the apex clipped pretty short over the next few years.